EllaFashion Solution is a digital pricing solution developed in close cooperation with retailers, for retailers. The ongoing dialogue enables continuous learning and further development of the solution for its perfect match with each retailers’ needs. The superior visual and functional properties of EllaFashion make it an attractive choice for most different environments; from an exclusive boutique to outlets and anything in between. Retailer saves money and receives a reliable tool for maximizing sales, profit and margins. Digital Price Tags display the price but do not attract unwanted attention. Customer experience will not be tarnished by questions of expensive pricing technology being added into product prices. Digital Price Tag is light-weight, small and energy efficient. It is a long-term and ecological alternative to competing products. All digital price tags are recyclable. EllaFashion Digital Price Tags are attached directly to garments, jut the same way as paper based labels. EllaFashion Digital Price Tags have built-in anti-theft feature. There is no need to add separate alarm devices to garments. EllaFashion Solution confirms price changes. Personnel do not have to go around checking if price updates were successful. EllaFashion application is integrated into the retailer’s own system. No need for a separate server. Getting started is easy and economical. EllaFashion brings a modern pricing and sales tool for retailers. Digital price tags are an excellent way to keep the pricing up to date. For the customer, they guarantee that the price is always correct and clearly presented. With EllaFashion the price information is transferred remotely to the garments. 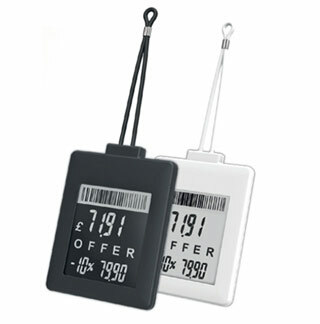 The digital price tags are easily and quickly activated to show the up-to-date information at any time. The functional and visual properties of EllaFashion are by far superior to any competing alternative. The price tags combine the best qualities of an electronic and a paper label: e-paper technology enables the paper-like look. The tags are elegant, light-weight and attachable to all kind of clothes from silk blouses to rough jeans or even shoes. EllaFashion Solution consists of wireless price tags that are customized to fully support the brand and convey the exact message in a stylish way. At the same time the tags contain several features in addition to displaying the price, for example discount percentage and original price. Not forgetting the most functional anti-theft or inventory features. The solution comes with price optimization tool which follows the sales plans made for the product batches and changes the price according to demand, if needed. The store and storage inventory information are accurate and automatically available at any minute. Getting started with the system is easy. Once the label is registered and attached to clothing it is fully operational. The mini-label is the newest solution to the MariElla Label digital price tag family: lightweight, small price label with all features. Like all other MariElla labels, the mini-label includes dynamic pricing, RFID, Antitheft (including AM) and is ready to use. 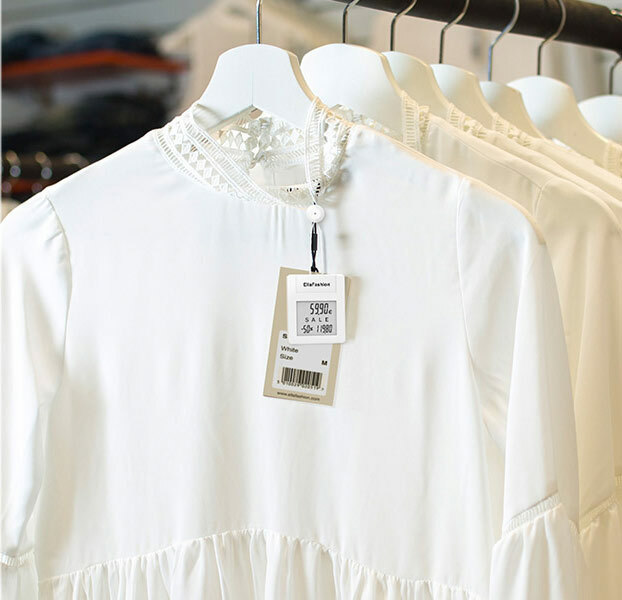 The light-weight digital price tags can be neatly attached to any clothes. The price information is always up to date and clearly presented. Feel free to contact us for more information of flexible and remote-controlled pricing. 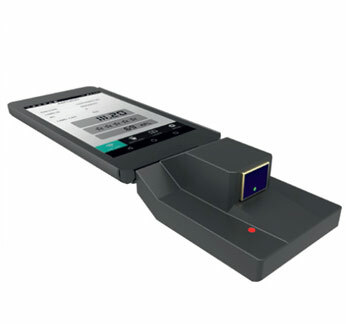 EllaFashion Solution offer complete a complete omnichannel package including easy-to-use equipment for price tag usage. 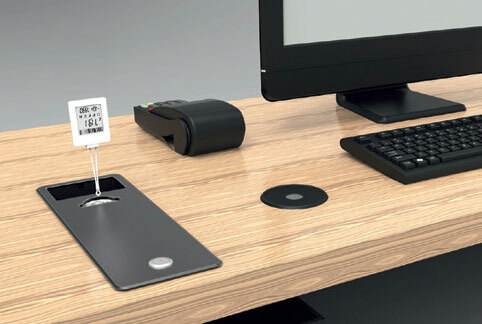 EllaDesk Station is a desktop device for POS, to be used with EllaFashion Price Tags. 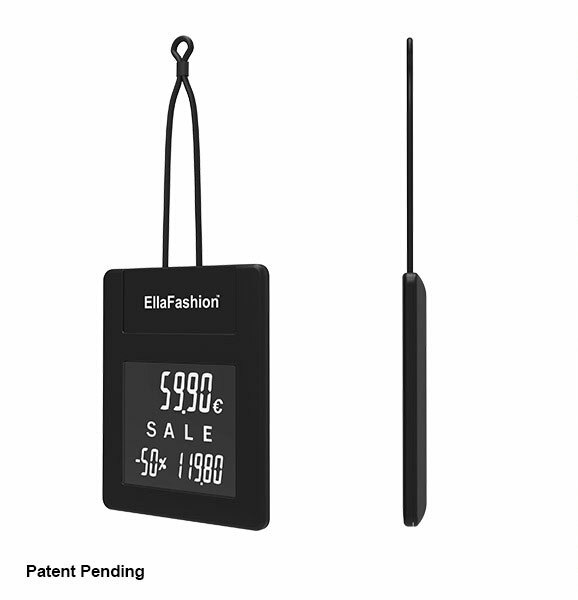 A device for adding or deleting price tags and updating data from EllaController database to EllaFashion Price Tag display. EllaHandheld is a portable device for adding or deleting price tags to the EllaController database. Two-way radio system is scalable to fit all types of stores. There is no need for "line-of-sight" between the digital price tags and the transmitter, as the remote price updates travel through textiles. The price information can be transferred globally, store-by-store or inside one store based on each garment model, color or size. No need to reconnect the price tag when it is relocated in the store. Maintenance and price updates can be performed remotely and a store layout change will not require any special procedures. The two-way radio enables effective and timely reporting while all price updates are automatically acknowledged. 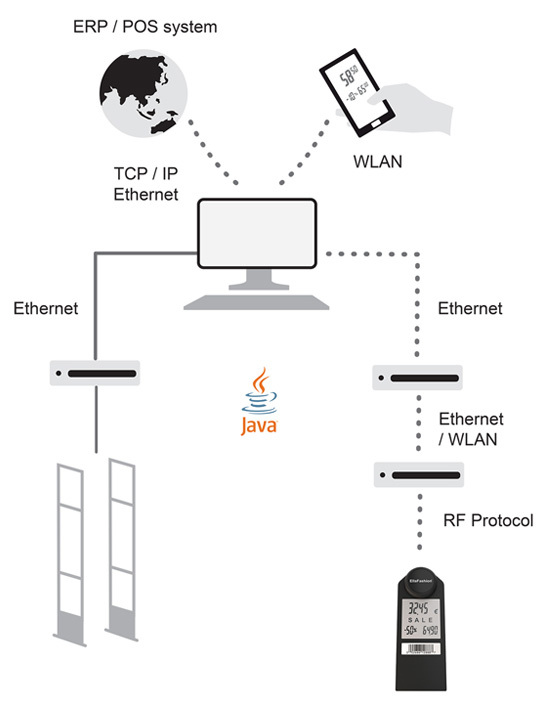 The integration interface runs on Java. The EllaFashion application interface is integrated into the customer's own system so there is no need for a separate server. Additional equipment, such as anti-theft gates or hand-held readers are available from our reliable partners. The system can also be integrated with your existing anti-theft system.